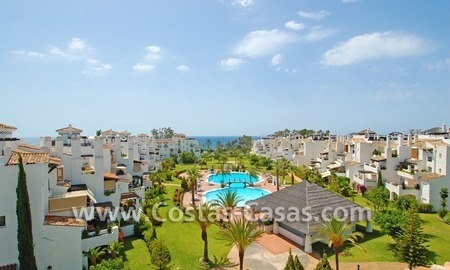 Duplex penthouse apartment located on first line beach complex with 24 hours security and concierge service set in a good area in Marbella, offering a prime beach position and close to amenities, shops, beach bars and clubs and many restaurants in Puerto Banus – Marbella. 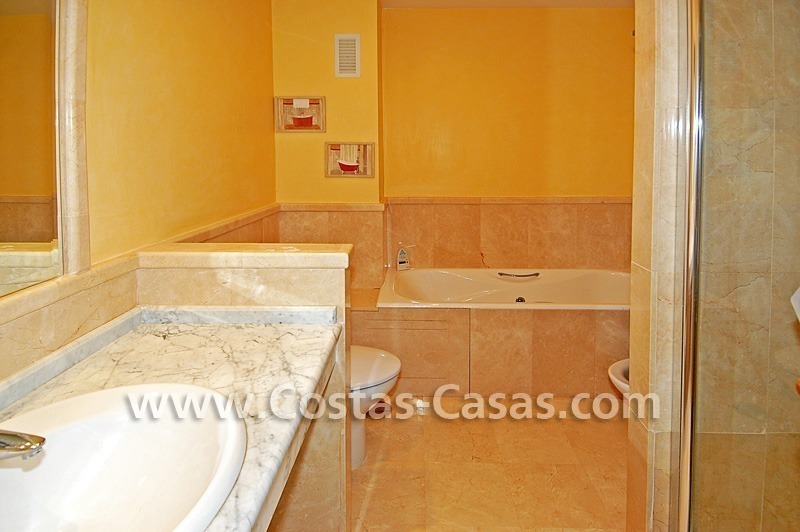 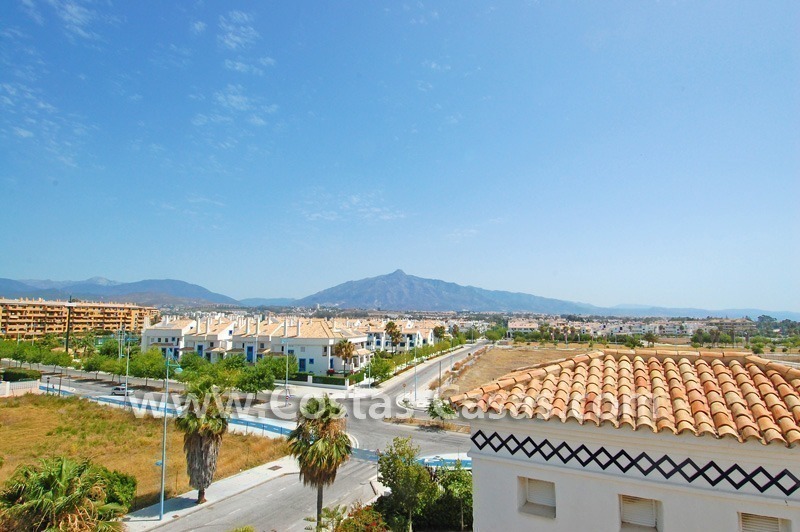 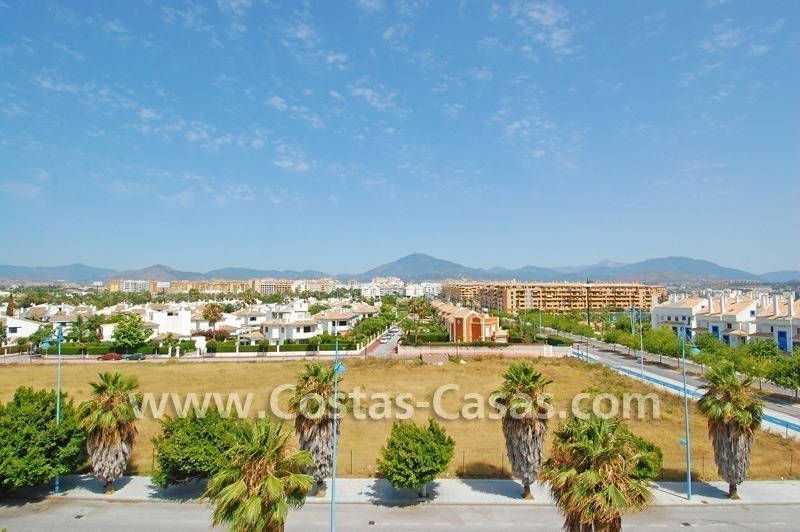 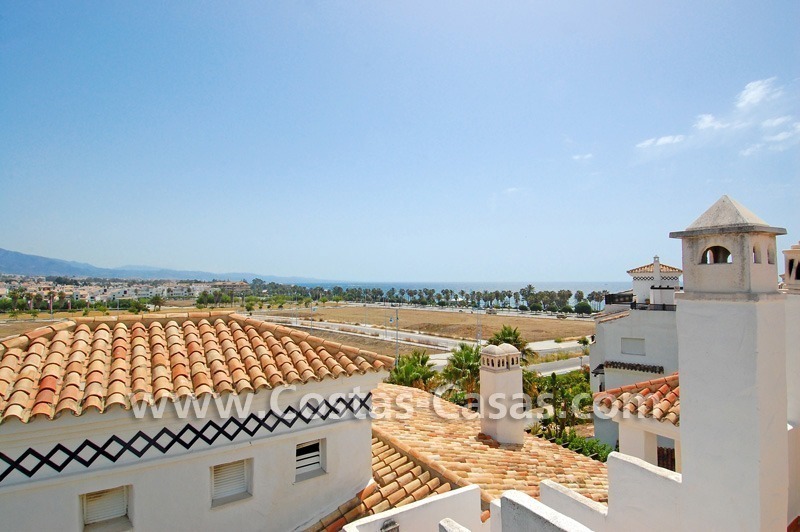 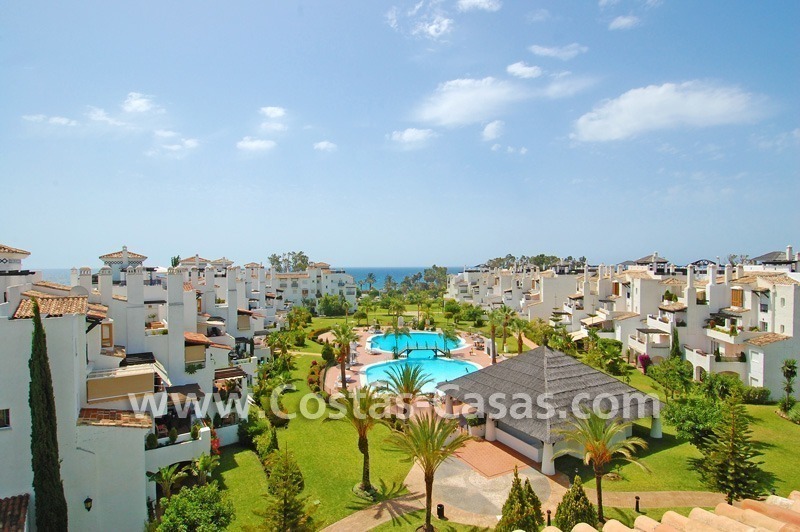 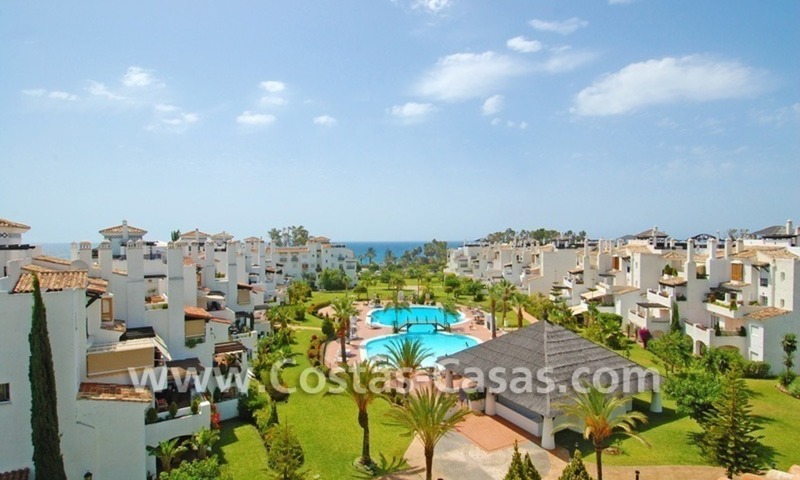 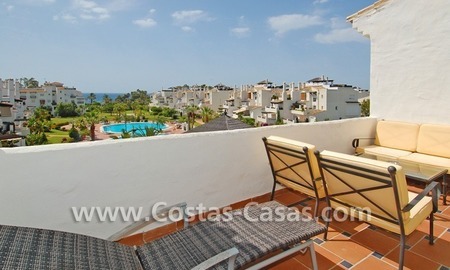 The apartment has panoramic views to the sea, to the unique communal tropical garden and to the pedestrian boulevard connecting Marbella centre with Puerto Banús. 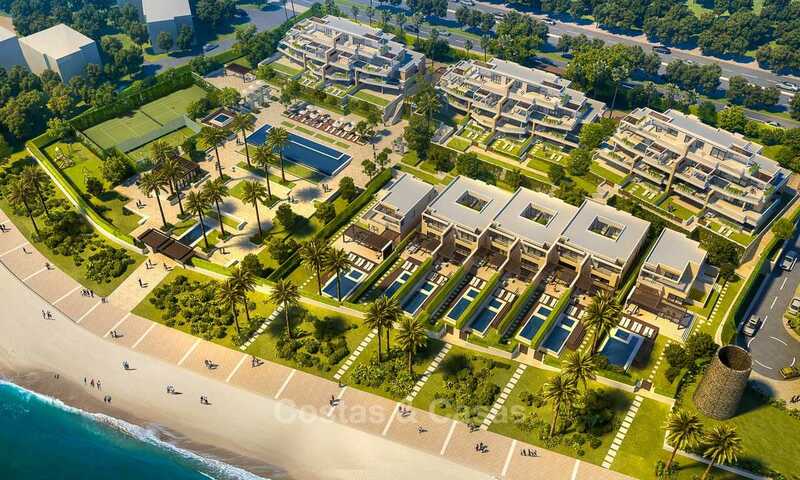 Two big communal swimming-pools with pool house. 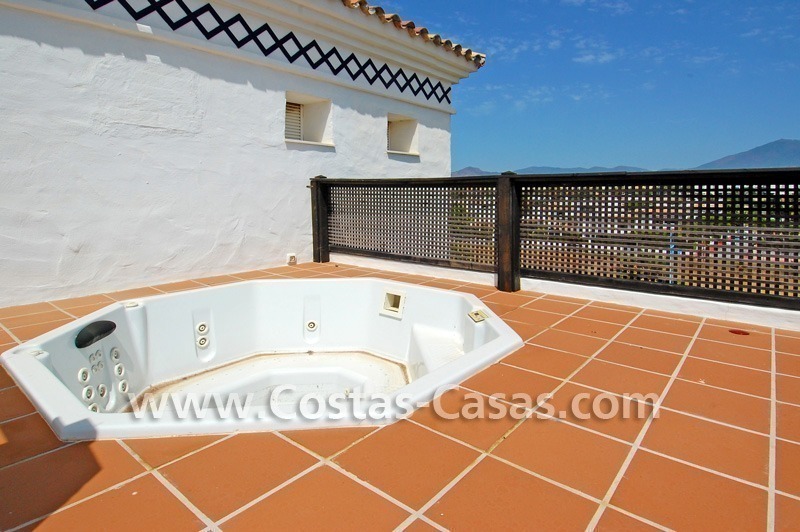 4 bedrooms plus 2 bathrooms, of which 1 is en-suite plus a guest toilet. 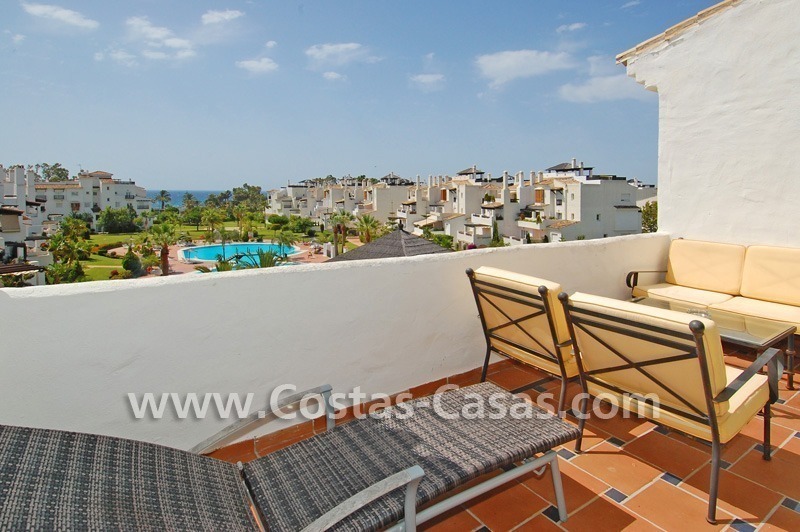 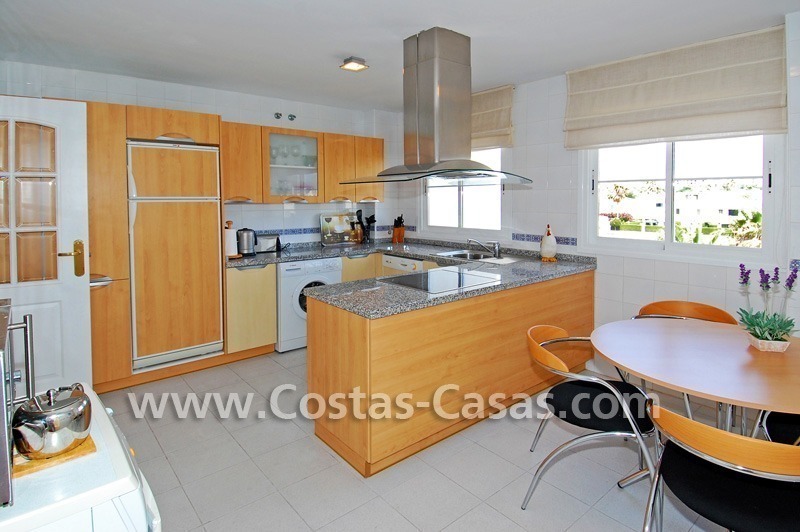 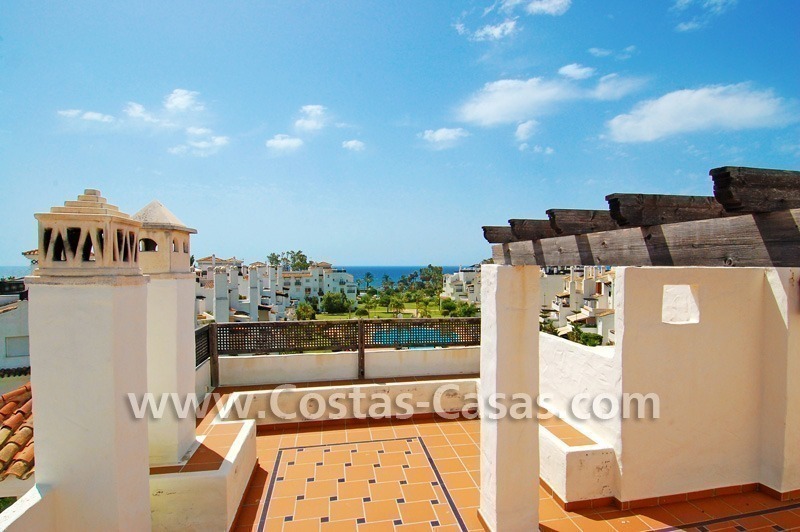 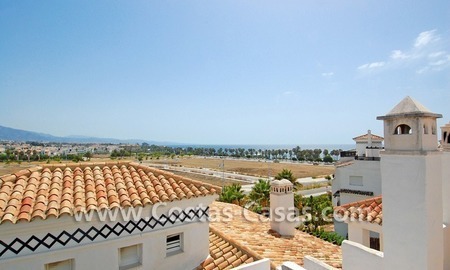 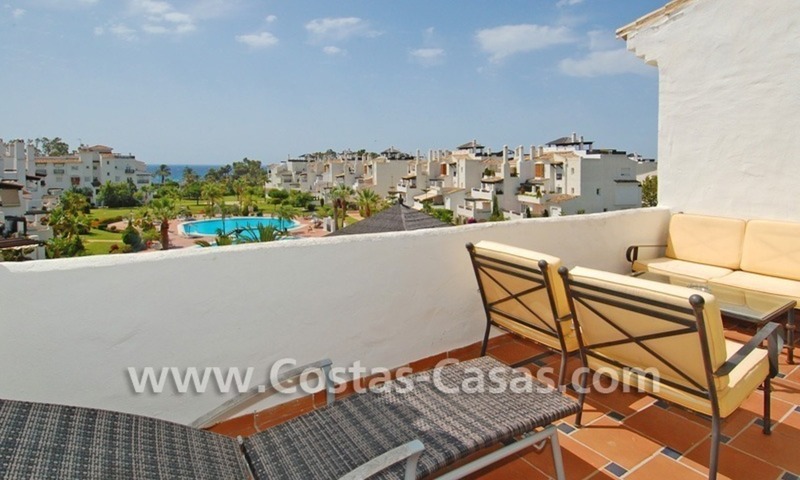 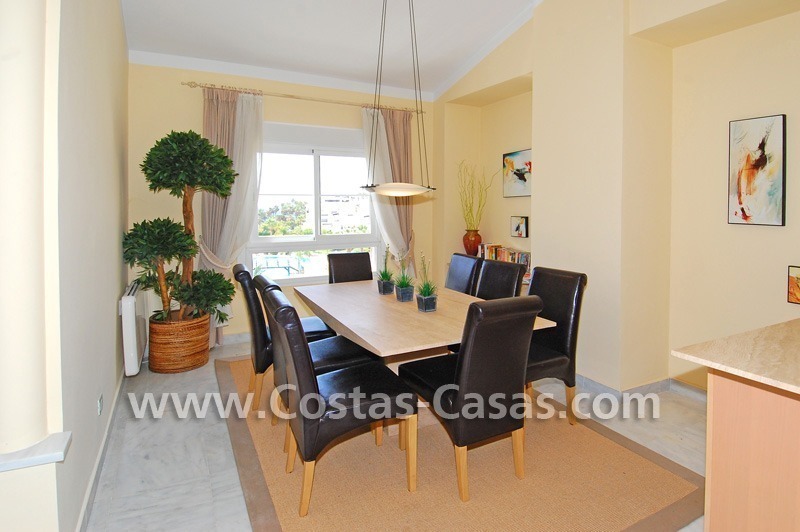 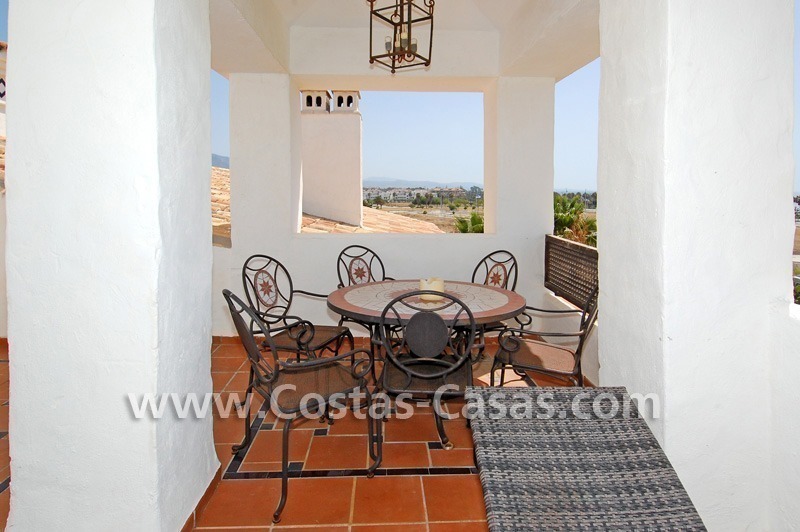 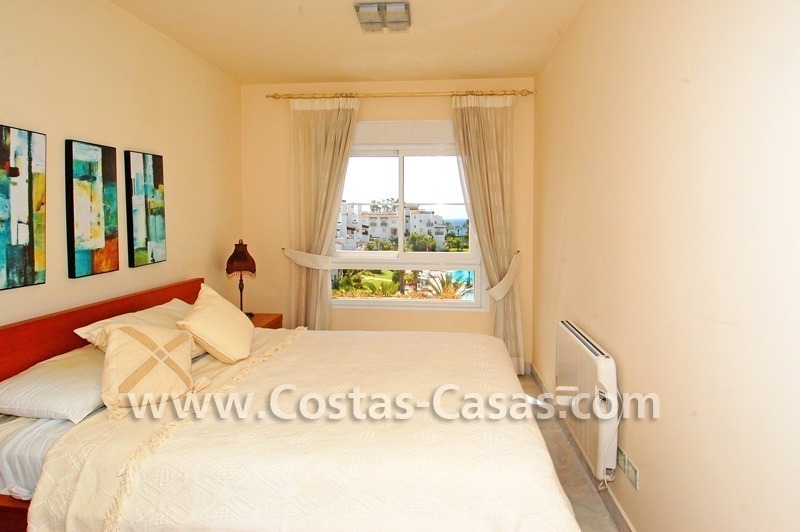 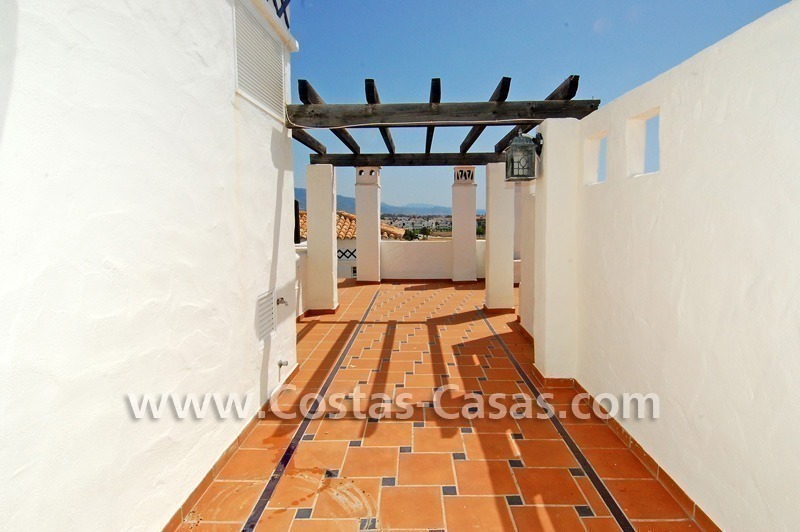 The property has an ample terrace facing the gardens and the sea and a big roof terrace. 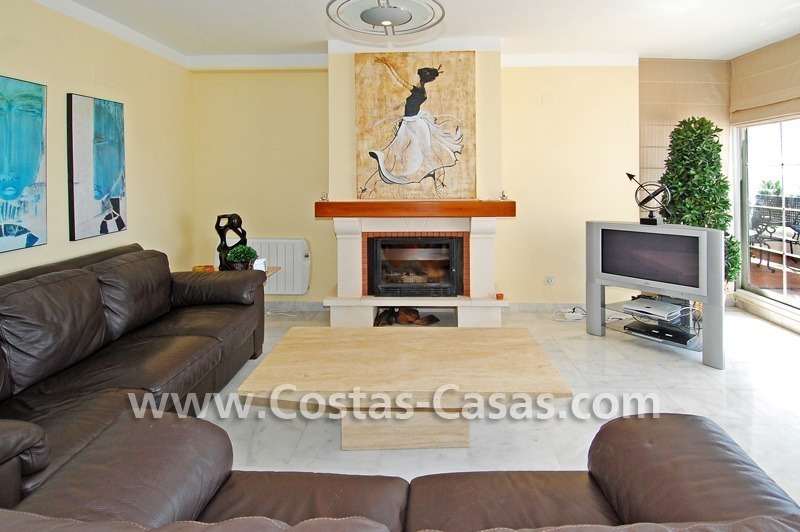 The ample living with fireplace with a separate dining-room laid out in two different atmospheres. 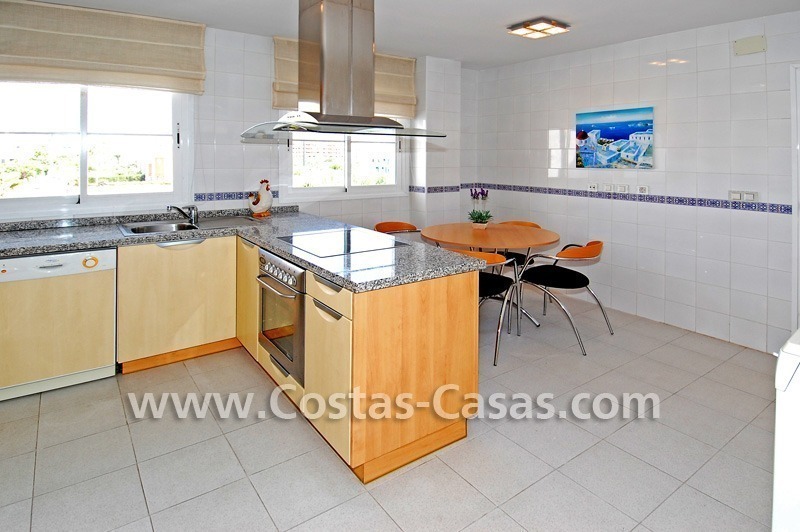 Fully fitted and equipped kitchen with cooking island and breakfast area with all the appliances. 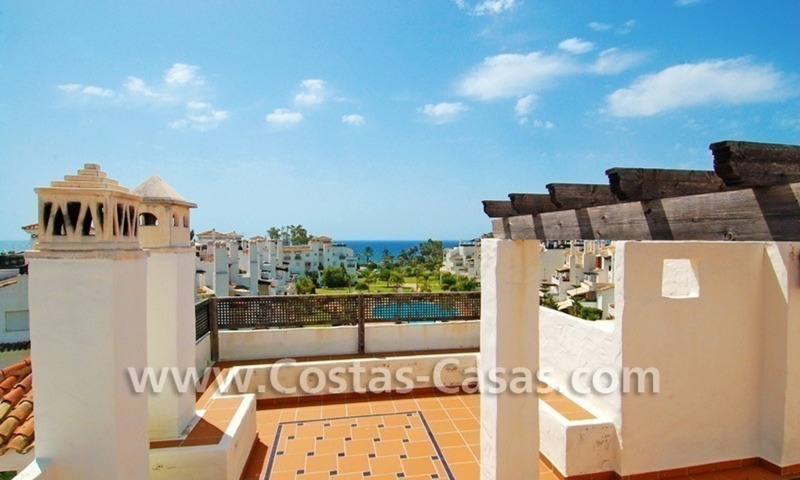 Ample duplex penthouse apartment for sale on the beachfront complex with a very good position related to the sea and nearby all kind of amenities, shops, beach bars and clubs and many restaurants in Puerto Banús – Marbella area.